Minneapolis Fed boss Neel Kashkari brought his bid to break up big banks to D.C. His talks have attracted publicity. But the central bank’s actual Wall Street beat cops weren’t on the agenda. Without their involvement Kashkari’s tour looks like little more than a publicity event. Neel Kashkari in Burlingame, California March 16, 2014. Minneapolis Federal Reserve President Neel Kashkari held his third symposium on “Ending Too Big to Fail” on June 20 at the Peterson Institute for International Economics in Washington, D.C. One panel focused on the current framework to evaluate increasing capital requirements. The other discussion centered on current policies that leave concerns unaddressed or prove problematic. Kashkari, a former Goldman Sachs banker and the former head of the Troubled Asset Relief Program during the financial crisis, took the helm of the Minneapolis Fed in January. Other speakers at the event included academics, consultants and Bertrand Badré, who was chief financial officer at Société Générale and Crédit Agricole. 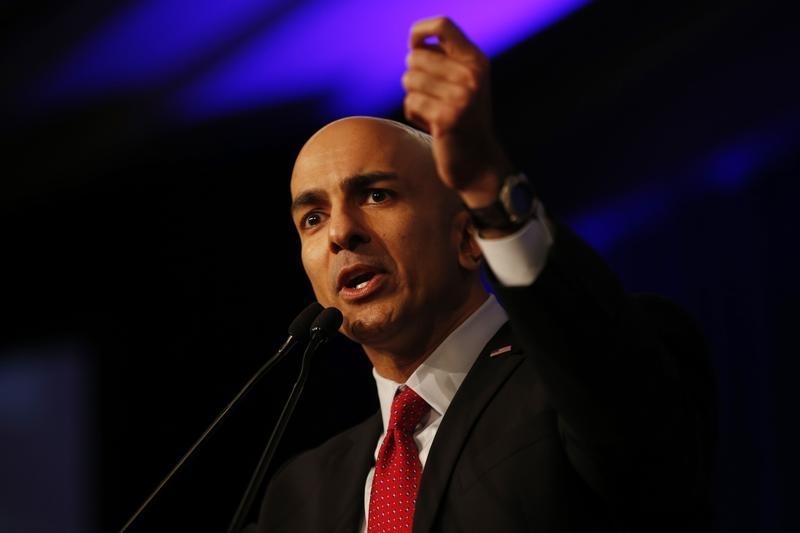 The event is part of a series of discussions Kashkari is holding with the aim of delivering a policy proposal by the end of this year to ensure no bank is too big to fail. He advocates breaking up the biggest banks and turning them into public utilities by forcing them to hold more capital.